Gtech’s AirRam vacuum cleaner has certainly been one of the most widely talked about vacuum cleaners in recent years, and the brand has regularly received coverage in top newspapers comparing it directly to Dyson, undoubtedly the benchmark in cutting-edge vacuum cleaners. The AirRam is also remarkably lightweight for an upright vacuum cleaner, weighing in at just 3.6kg (8 pounds). It’s clear to see where this saving was made when you look at the size of the machine and the elegant stripped down design. There are no bulky bags attached to the back of the cleaner as the Gtech AirRam actually compacts collected dust into dust bales in the head of the vacuum which can be easily and hygienically binned. Perhaps something of a novelty, Gtech’s AirRam cleaner also features a USB port through which you can check diagnostics of your machine from a computer. This includes the health of the vacuum and how much electricity you’ve saved with it. Gtech have also designed a version of their popular AirRam vacuum cleaner that is intended especially for dog hair. Code named K9, the cleaner costs just £49 extra but boasts stronger suction and an enhanced brush bar for picking out pet hair. This wireless vacuum cleaner features a 22V lithium ion battery capable of powering the device for 40 minutes. This might seem short but should be sufficient to clean a house twice over due to time saved in managing power cables. It is well over twice as long as Dyson’s DC59 cleaner and also recharges much quicker at just 4 hours. It’s worth noting that this vacuum has the same voltage power and battery life as the lightweight Gtech Multi Handheld vacuum cleaner. The Gtech AirRam cordless vacuum cleaner is priced at just £199. Perhaps slightly higher than ultra-budget cleaners, but presents very good value compared with rival vacuum cleaners such as Dyson’s DC59 based on quality. 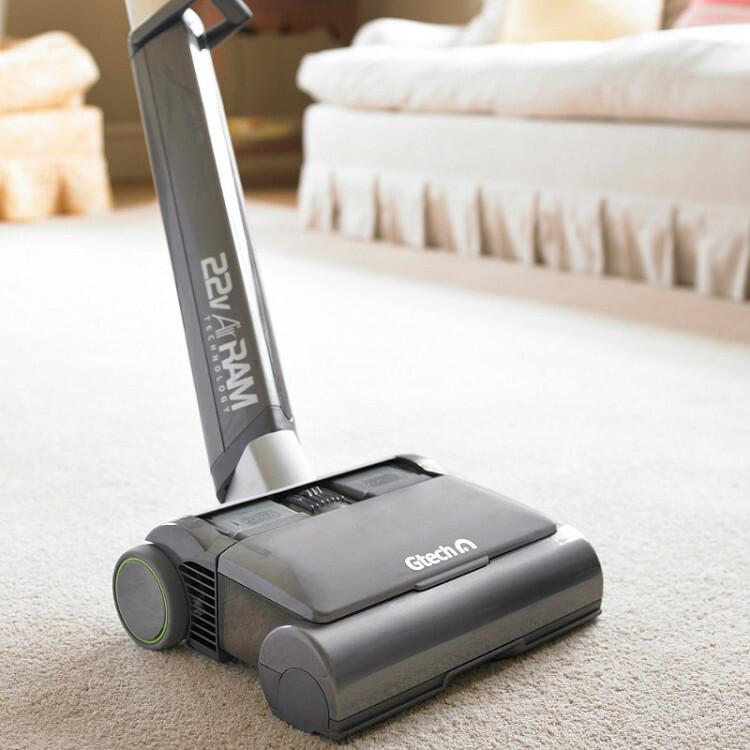 You can read customer reviews below to find out how the vacuum’s stack up. Gtech AirRam Cordless Vacuum Cleaner has an average rating of 4.2 out of 5, based on 9 customer reviews. Very good lightweight vacuum cleaner. The vacuuming power isn’t exactly comparable to a mains-powered one but it gets the job done on carpet and wood. Pleased with the price of Gtech AirRam and very manouverable. I actually had a Dyson DC59 before but had to return it because the battery life was so short. The AirRam is much better in this respect and gives me time to do the whole house in one go. The suction does seem slightly weaker than the Dyson on max setting, but I prefer the method of dust collection in the Gtech one as its easier to remove and get into the bin without it all floating away. Very futuristic looking vacuum cleaner but unfortunately it didn’t quite live up to my expectations. It might be ok for small apartments with smooth floors but the suction just wasn’t strong enough for our carpets. That’s just my experience though and it might suit others better. It is very easy to control and move around which will be very useful for the elderly. Love this machine, it’s made vacuuming the house such a quicker job. Being wireless means you can do the whole house twice as fast, and without worrying about where the plugs are. The gtech airram also really light to carry around and has very good brushes at the front to pick out dirt. Very happy with it. I would review the Gtech AirRam cleaner 4 out of 5 stars because it is quite quiet for a vacuum, and is very lightweight and easy to move around. The design is very modern and it is very good at picking out crumbs from carpets. It loses the final star because it takes a while to recharge the batteries before you can use it again when it runs out which isn’t ideal. 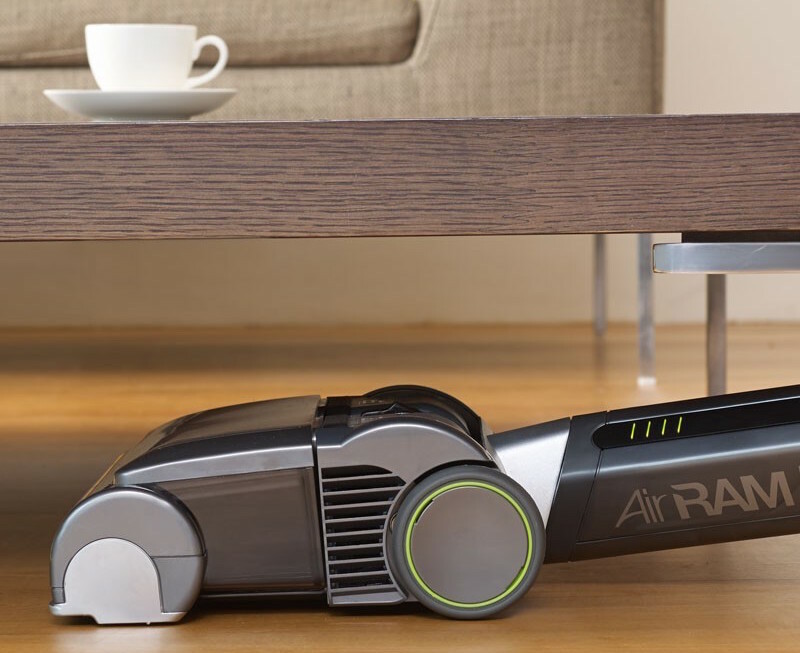 We’re very happy with our AirRam vacuum and compared it to the wireless dyson one when deciding. I’m confident we made the right choice as this just felt like a more practical cleaner than the Dyson which had much too small of a head. 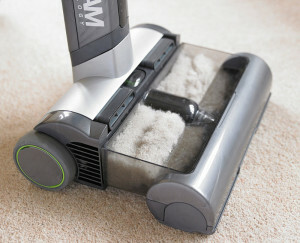 Vacuuming with the Gtech one is very quick because of no wires but it still covers a wire area. Hi Shani As I mentioned in the review it’s not really meant as a replacement for a cylinder vacuum as you will still need one to get into the nooks and crannies. I find the airram perfect for daily use with the cylinder coming out once every couple of weeks. That’s no easy feat, and the AirRam certainly won’t replace your vaccum. This is, rather, an extension to your floor care arsenal, but with a sleek design and cordless functionality the Gtech AirRam is a very useful one at that. I bought the first model of the gtech air ram . All was going well and was really pleased with it ,but things started to disappoint me . After 16 months it got very noisy, then just got worse and worse. After looking into it found that the drive propeller that works the brushes has a plastic component and cannot be replaced. So I have a very good looking hoover that is no good to me now . Please note that we will not bother you with messages. An email address is only required as a measure for us to reduce fraudulent reviews.